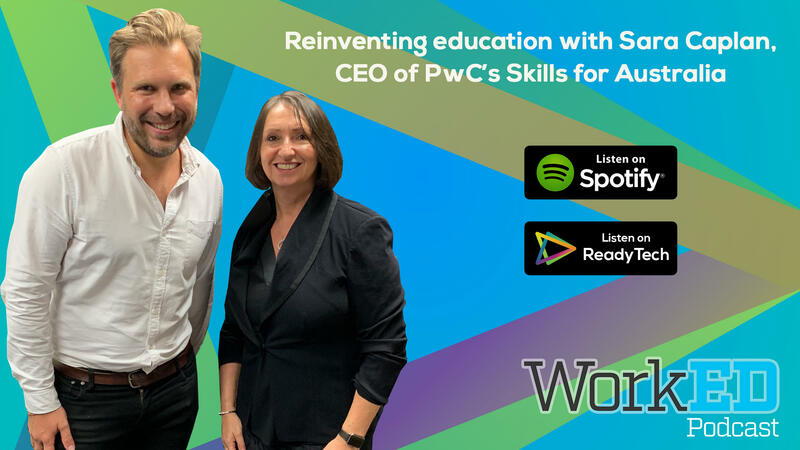 In the first episode of a new podcast from VETtrak’s parent company ReadyTech, PwC’s national skills lead Sara Caplan tells CEO Marc Washbourne there’s an engine for our skills needs – and that engine is VET. It’s something that we, working in the VET sector, inherently know to be true. It’s also something that for many years now, we’ve been communicating patiently to both policymakers and the public. 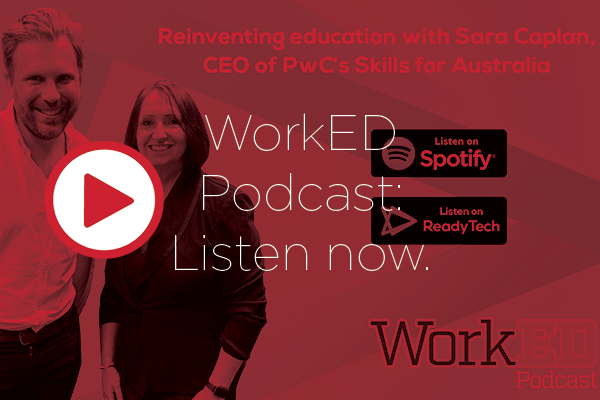 And in a new podcast from VETtrak’s parent company ReadyTech, Skills for Australia CEO at PwC, Sara Caplan, says it very clearly: VET should be the skilling and reskilling engine of our future economy. Speaking with ReadyTech CEO Marc Washbourne on new podcast WorkED, Caplan says something she would like to change in the future is the lack of prominence given to VET pathways in schools. She says at present, VET options are not featured enough in comparison with other pathways. “I would like to see that change,” she says. “We did some work last year to look at career and skills pathways and found there is a lack of information in schools – often because the schools themselves find it difficult to know where to get information from or what is the most valid and up-to-date information – and therefore they tend not to give a lot of information about vocational pathways,” Caplan says. In a wide-ranging conversation on subjects like lifelong learning and the future of tertiary education, Caplan argues for the role vocational education will play. Caplan says our tertiary education system as a whole is highly regarded, despite some local negativity. “When I travel overseas and go to different countries, the Australian education system is held in very high regard,” Caplan says. “People envy what we have here in Australia. Sometimes I don’t think we realise how much, and we sometimes talk it down, but other people think it is fantastic. Vocational education providers in particular are well placed to meet Australia’s future skills challenges, particularly in areas that require strong technical skills. “If you look at the work we are doing currently in the naval shipbuilding sector where a whole range of skills are going to be needed over the next 25 years, ranging from advanced techniques in welding to complex project management and everything in between. Some of those skills are very much in the vocational provider sector and some of them are in the university sector,” Caplan says. Do you want to hear more from Sara Caplan? With a history advising business and government around the globe on what tertiary education does right, as well as what it does wrong, on WorkED’s launch episode Sara shares her personal journey from studying Maths at university and managing a pub to a career in management consulting at PwC, in order to shed a light on how tertiary education as we know it might just need to be reinvented. Highlights include Sara’s take on higher ed around the world, the resurgence of vocational education, and her call for employers to get busy playing a role as the reskillers of the future. Listen now on the ReadyTech website or Spotify. WorkED is a new podcast from VETtrak’s parent company ReadyTech, investigating what the future of education and work will really look like and asking whether we’re ready for it. In conversation with ReadyTech CEO Marc Washbourne, leading thinkers in the fields of education, employment and technology come together to share their personal work stories and challenge the outmoded thinking, business models, community assumptions and policies being reshaped or upended by technology.